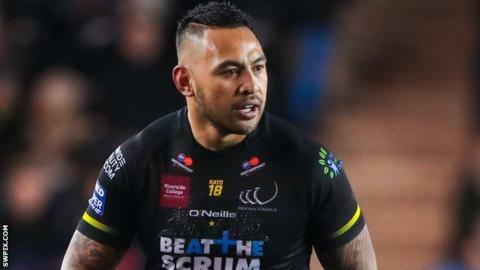 Super League side Salford Red Devils have signed experienced New Zealand and Samoa international back Krisnan Inu. The 32-year-old played in the NRL for seven seasons before joining Catalans in 2015 and Widnes Vikings in 2017. But he was released from his contract when Widnes were relegated from the top flight last season. Devils Head Coach, Ian Watson, said: "Krisnan is a high-quality addition to our back-line. He has a proven record in both the NRL and Super League." Inu, who has six New Zealand caps and one for Samoa, will be available to make his debut in Salford's away game against Wakefield Trinity on Sunday, 31 March.